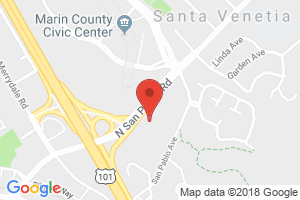 Copies of Birth and Death Certificates for the CURRENT & PREVIOUS YEAR can be obtained at the office of Vital Statistics at 10 North San Pedro Road, San Rafael, CA 94903. Copies of Birth, Death and Marriage Certificates for ALL OTHER YEARS are provided at the Recorder's Office, 3501 Civic Center Drive, Room 232, San Rafael, CA 94903. Birth and Death Certificates can be requested either in person or by mail. Marin County birth and death records are maintained at the Marin County Office of Vital Statistics for the current year and the previous year only. The County Recorder's Office located at 3501 Civic Center Drive, Room 232 maintains copies of all Marin County birth and death records. Birth and Death Certificates can be requested either in person or by mail. The California Health and Safety Code, Section 103526, permits only authorized individuals to receive certified copies of birth or death records. Those who are not authorized by law to receive a certified copy will receive a certified copy marked "INFORMATIONAL, NOT A VALID DOCUMENT TO ESTABLISH IDENTITY." In order to obtain a Certified Copy, you MUST complete the sworn statement included with the birth or death certificate application form and sign the statement under penalty of perjury. If you mail your request, your sworn statement must be notarized. If your mailed request indicates that you want a Certified Copy but does not include a notarized statement sworn under penalty of perjury, the request will be rejected as incomplete and returned to you without being processed. *Any applications received with out the correct amount for fees, will be rejected for insufficient funds, causing a delay in your receipt of the requested documents. The birth or death certificate will be mailed to you at the address indicated on the "Applicant Information" section of the application form within 2 to 3 business days of receipt of application. Birth record must be received by Marin County Office of Vital Statistics from the hospital of birth before a birth can be registered and birth certificate produced. If receipt of the birth certificate is time-sensitive, please call the Marin County Office of Vital Statistics to verify that record has been received from hospital. Certificates can be obtained on a drop-in basis at 10 North San Pedro Road, San Rafael, 94903. Appointments are not required except for home births see information below. Appointments required to register a home birth. Staff will provide additional information when booking your appointment. Check in with reception when you arrive.